24 February - 4 March this special event station will be on air thanks to Ràdio Club Barcelona, EA3RKB, echoing this first class international event hosted by the mobile world capital. Week of technology, news and radio. You can participate actively operating this station, also valid for the EANET Award. Among the professionals involved these days in MWC, there are some ham colleagues coming from around the world, as ours is also a global and technological hobby. Although they probably will not have time or means to do radio from here, we can do it from our stations to the world. So, as on other occasions, members who wish, of any part of Spain, can go on air with this special callsign, by using our booking system. And for the rest, those unwilling or unable to act as operators of this station, a QSL will be available 100% via EuroBureauQSL, as mere radio amateur or SWL. To easy find the special station, you can have a look to the agenda of the activity or DX Cluster. Members of FEDI-EA and/or EURAO: do nothing, automatically you will receive it via EuroBureauQSL. Needn't to send your own QSL, but if you do so, it is welcome. In this case, set as Manager: EA3RKB. We take care of almost everything: apply for special callsign, configure the booking system, upload logs to eQSL and to our website, send QSL cards, etc. Well, you also need to choose the time you want to use the special callsign via our booking system. Read the procedure and follow its recommendations. As a suggestion, the call may be in English: "CQ CQ CQ ... this is AO3MWC giving special QSL in ocassion of Mobile World Congress". 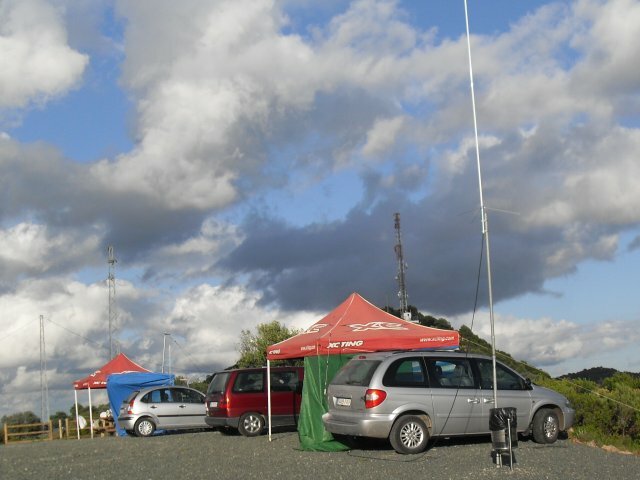 or in Spanish: "CQ CQ CQ ... de AO3MWC otorgando QSL especial con motivo del Congreso Mundial de Móviles". This year the activity will start at 00:00 h EA 2018-02-24 (23:00 h UTC 2018-02-23) and end at 23:59 h UTC 2018-03-04 (00:59 h EA 2018-03-05). 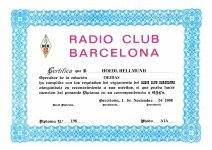 Ràdio Club Barcelona: feliz 30 aniversario!! !